This Glossybox is saying 'Hello Summer' with a switch from the traditional pastel pink box to a beautiful bright coral colour. I was so excited when the delivery man came and dropped this beautiful parcel off at my door! Glossybox this month is dedicated to everything travel related with essentials to see you from plane to poolside with style. Please read to the bottom of this page to get a 50% off code for your first box. I love a good setting powder, I have quite oily skin so its a must have in my makeup bag. I will be honest and say I haven't ever used a banana powder before as the bright yellow tone slightly put me off but I have heard great things about the Bella Pierre Banana powder that I couldn't wait to give it a try! I have been using this everyday since receiving it to set my concealer. 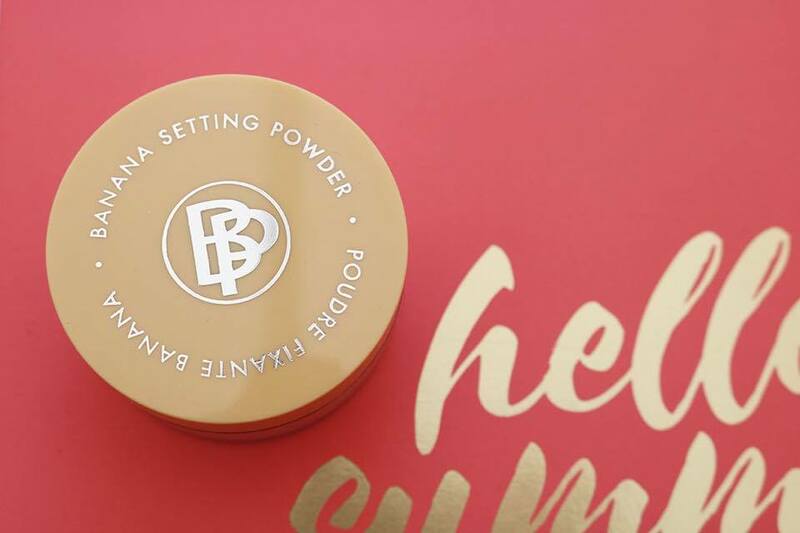 It's a yellow tone powder but doesn't make your under eye look yellow, what it does do is make you look highlighted, counteracts any redness, and hides blemishes or dark circles! Also, it does help my makeup stay put and last longer, so win win all round. I have been baking my concealer with this powder by applying a generous amount to my beauty blender, leaving it to sit for 5-10 minutes so the warmth of my face sets it before brushing off with my new Spectrum Brush. 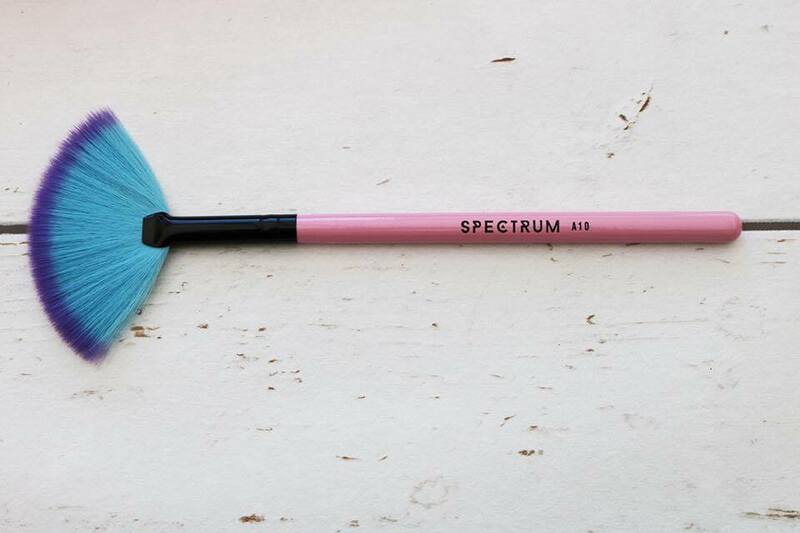 Spectrums A10 small fan brush is the best partner for the Banana Setting Powder or your favourite Highlighter thanks to its premium cruelty-free synthetic bristles. Simply brush a loose highlighter, then dust in a sweeping motion across cheekbones and any other areas of the face you want to glow, or use it to sweep a setting powder such as the Bella Pierre Banana Powder over your face. Spectrum brushes are also so aesthetic, with their beautiful looking premium bristles in a soft powder blue with purple tips and a chunky pink handle, perfect for any instagrammer like me who loves to capture a good flat-lay of products! Another essential for holidays, especially if you have super-sensitive skin that burns like mine is after sun. 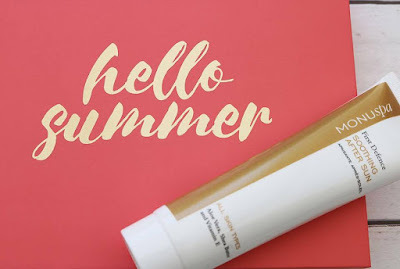 I must say I have never really used After Sun and that's probably why I have the most sensitive skin on holiday, so I am excited to give the MONUspa Soothing After Sun a go. The lotion combines Aloe Vera, Vitamin E and Shea Butter to help cool, hydrate and calm burnt or sun damaged skin. This lotion has a light refreshing Summer scent that reminds you of palm trees and beaches. Just apply liberally to the face and body after sun exposure and your body will be happy in the sun! This 100ml size is perfect for throwing in your hand luggage for a summer weekend away. 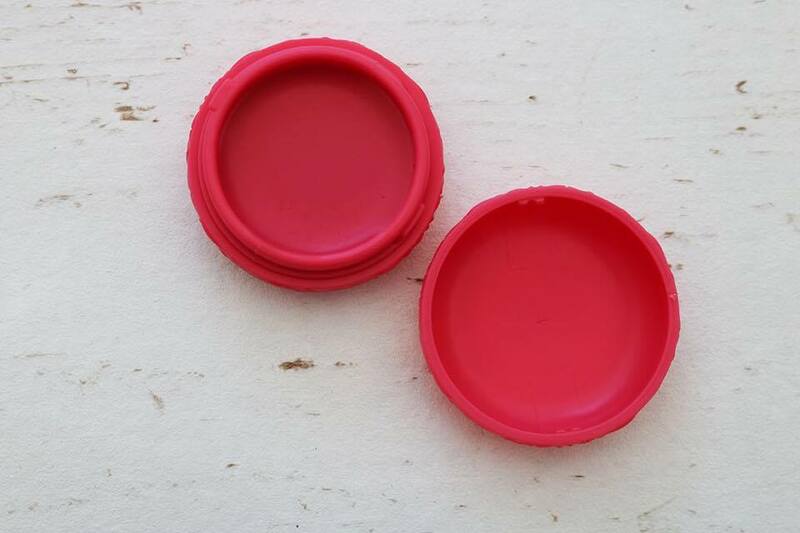 I love any lip balm because my lips get so dry and chapped, especially when exposed to harsh sunlight in the summer. This balm is pocket-sized, so cute and smells like Parisian Macaroons. I must say since receiving this product I have been applying every 5 minutes because the scent is to die for, plus my lips are super soft whilst being tinted a soft rose pink. What more could you want out of a lip balm! The last product from the Hello Summer box are the Papanga Spiral Hairbands. Since discovering these kinds of hair ties a while back I know cannot bare to use regular bobbles and always have to use spiral hairbands. They’re great for throwing your hair back whilst by the pool or to prevent your hair from getting sweating in the hot summer heat. They don’t snap or fray your hair and the best thing, they don’t tangle like a traditional bobble which prevents any breakage or split ends. I love these bobbles and would recommend these to everyone as they are an essential in your travel kit. Plus this month’s Glossybox treats you to two of these bad-boys, win win! So there you have it guys, this months Glossybox reviewed for you, hope you enjoyed this post and make sure to purchase this months box as in my opinion it's the best one yet. 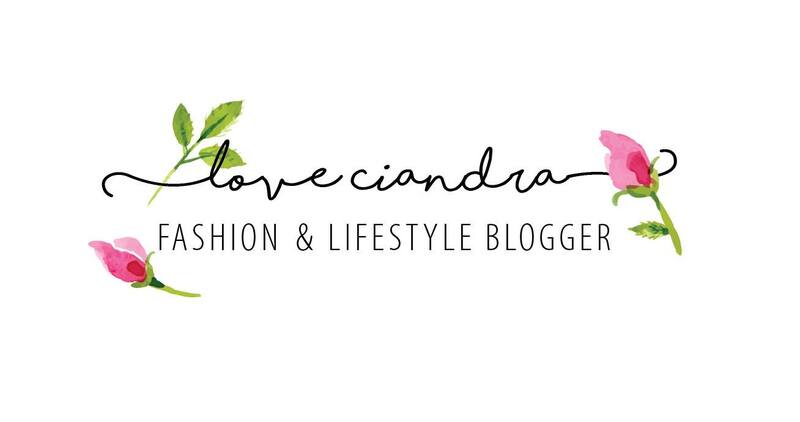 The 50% off code is below, go on guys, treat yourself, it is summer after all!